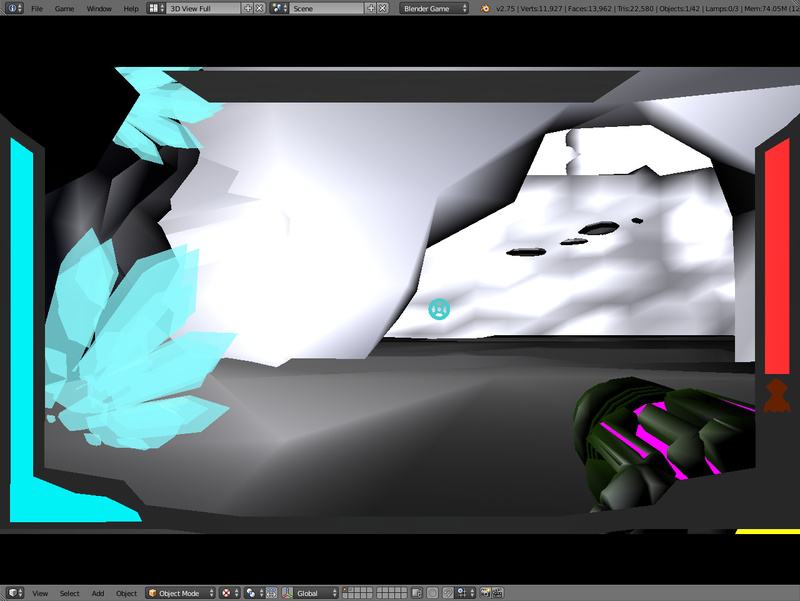 Metroid Prime Style Game: New area in construction! 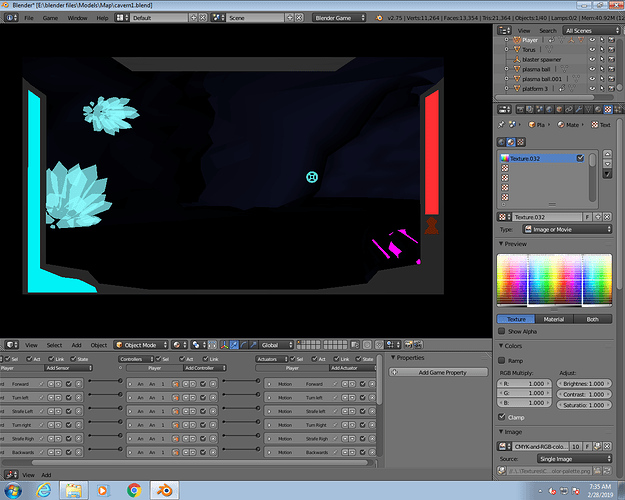 Okay so my “game” is going to be based on Metroid Prime. Why the italics you may ask? Because I’m very new to this, not that skilled, and Metroid Prime will always be better than my project in every way . 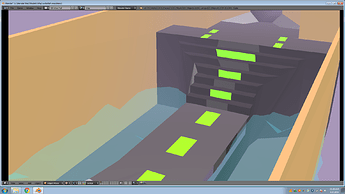 I’m going to post my .blend file that has the game whenever I feel I have made a significant change (added more rooms to the map, enemies, ect…). I’m doing this project alone and so I will take any constructive criticism into mind while making this. Any how, here is the begging of my work, more updates will be on the rise (they will not be quick, maybe 1 every 2 weeks). Make sure you are using the “player camera’s” view before starting the game! Is there a way to make a Charge Beam for use in BGE? Update SCREENSHOTS of a cave scene. Sorry, been a while since any update was made on progress. I do not plan on posting the most recent file in this update I would rather add more rooms before doing so. Hopefully this will do for now and thank you to anyone who has been following this project. Here are two rooms that will be in the game (textures, sky, etc… may change in the future). 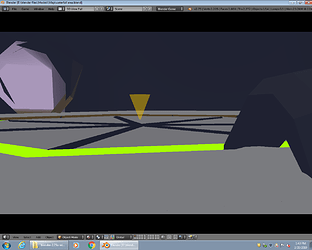 *Orange triangular object rotates along the Z global axis during run time. I’m open to suggestions for enemies, rooms, and things to change. Made a small amount of progress on the map. Here is a picture of the map from a zoomed out perspective in the editor. And here is the up to date blend file for those who want to take a closer look at it. The camera/ player object is named “Cube” in the Outliner panel. Rooms are summoned to layer 1 by “Cube” colliding with a ‘door’ (all but one of them is a whitish octagon) sending a message to its corresponding empty object causing an object from layer 2 to be added. The doors will have a Collision and Always Sensor (as seen in the screen shot) that can be swapped to keep certain rooms open when starting the game engine. 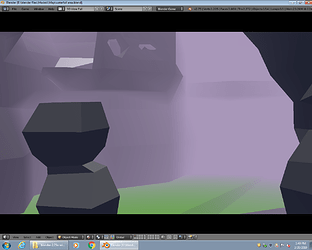 Set the layer to layer 1, and position “Cube” in the room you want to see. To control “Cube” use W to go forward, S to go backwards, and mouse to look around. Space Bar can be used to jump and in Blender 2.79, you will be able to double jump. This project is starting to lead to some artist blocks in terms of original concepts, if you have an idea for a themes, enemies, character abilities, etc…, please share them with me. As always constructive criticism is gladly accepted and changes to the existing file will be made in the near future. In an effort to make a since of progression I am beginning the next area, the decaying mechanical ruins. With the natural land I was spending a lot of time of a single room (not that that’s a bad thing) and they were not that special in my eyes (apart from a few). The area will have a main color pallet of matte tan, neon green, dark gray, and other colors of that nature. 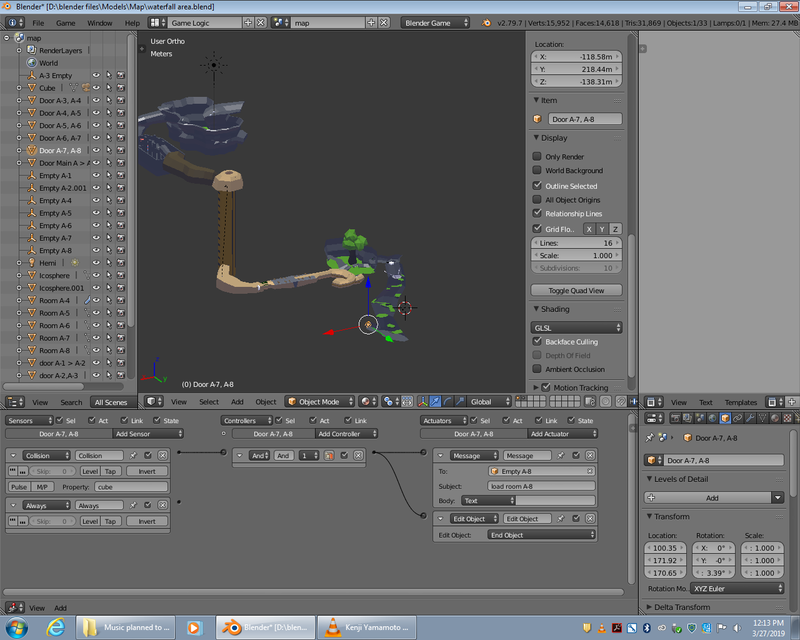 You can expect that this area will be complete with puzzles, gears, moving platforms, and other mechanical elements. Enemies are mostly going to be defense/ security systems along with creatures that have made the dilapidated civilization their home. 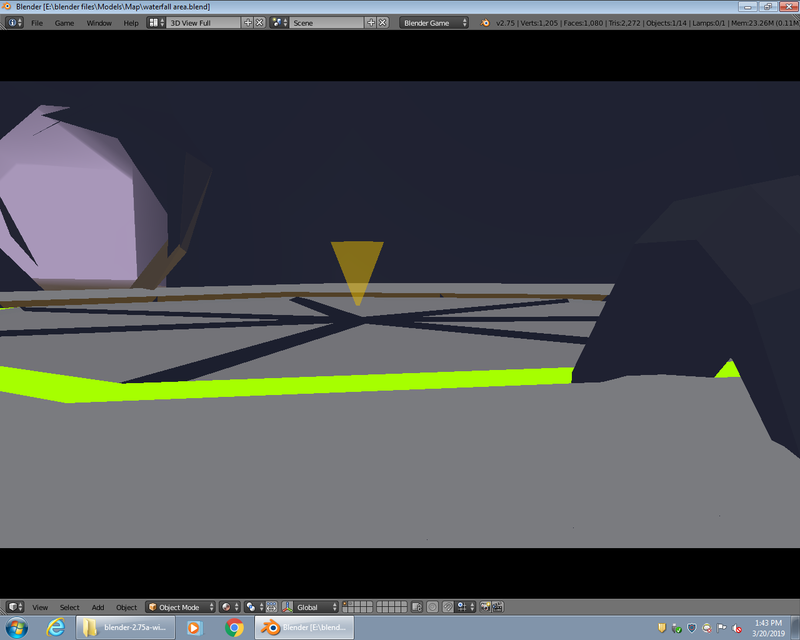 This will most likely end up being the most intricate part of my Metroid Prime inspired game. Again I would like to state that I wan’t to be compared to Prime (Metroid Prime is really good and will be better than what ever I make), it’s just what made me want to do this. Suggestions are welcome, there is no harm in conversation. Here’s a screen shot of the entrance room, it doesn’t reveal much but eventually more will be shown. this is truly impressive and i am looking forward to what you pull off in the future. gonna be watching this thread for updates. good job, and good luck!